5 years into my pottery endeavours and I reached a plateau. After the Great Pottery Throwdown, I hit a bit of a wall. After all the excitement had settled, I looked at what I had achieved and remember thinking I still hadn't found my own style. I phoned my pottery tutor who, ironically, said 'don't worry, it will all just suddenly fall into place'........ and he was also right! 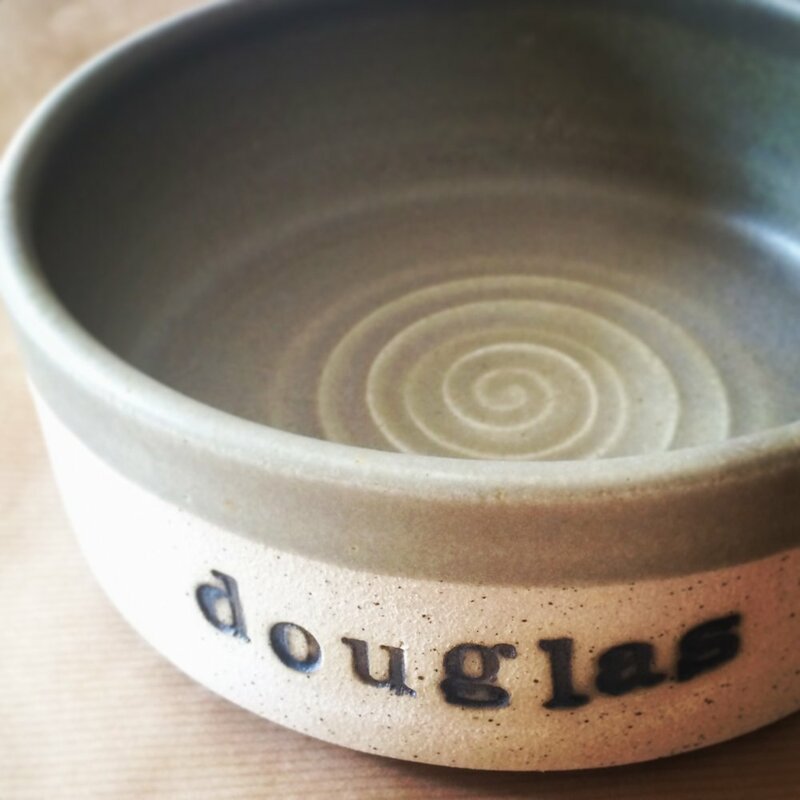 Over the past few months, I have been developing a range of personalised dog bowls. 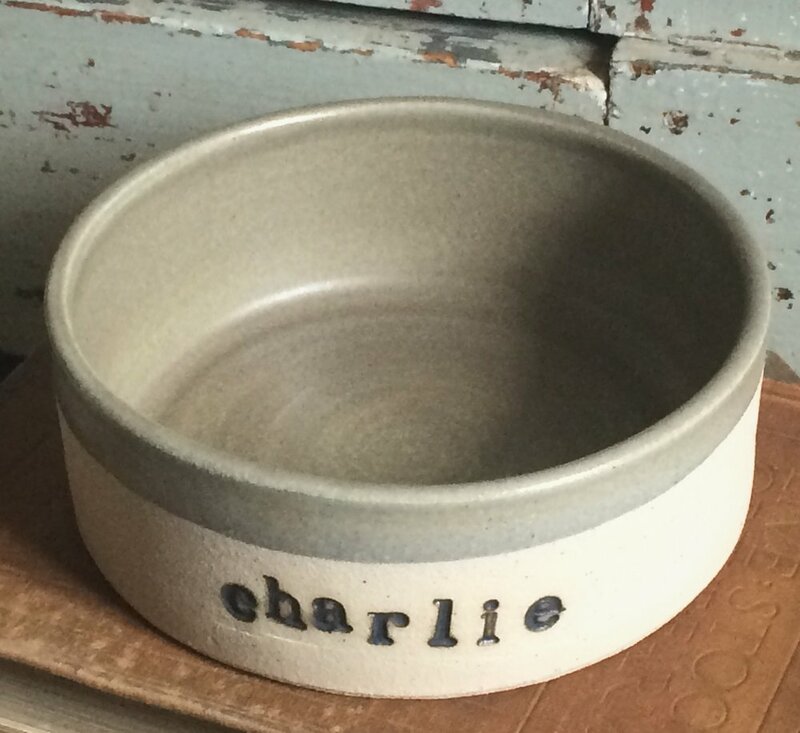 The clay is a flecked stoneware, very hardwearing with a 'food safe' matt green/grey glaze. I love making them and thankfully the results are consistent. I introduced the design onto social media and it has proved more popular than I could ever imagine! I am now selling to customers up and down the country (and even overseas!). Newer PostClaws and Clay: Mastering The Art Of Veterinary Science.